Nobody really likes leaving their four-legged family members behind when they go away on vacation. It spoils a vacation somewhat to have to worry about how they are doing without you. Having your buddy or buddies with you to enjoy all of your fun adventures requires finding Cape May NJ rental homes that welcome animals. Cape May NJ rental homes are plentiful and come in many different styles and sizes. Some are small and cozy while others are large and capable of sleeping more than 12 people. It is important to remember that as you are renting a vacation home, you must treat it as nicely as if it were your own home, if not even better. To ensure that happens there is usually a non-refundable pet deposit required on Cape May NJ rental homes that allow pets. Pet friendly rentals accept only well-behaved animals to stay on the premises. Sometimes there are weight restrictions on the size of animal you can bring, but some have no limits at all. These are details you need to research before you make your reservations. 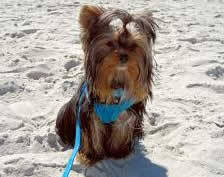 The Cape May NJ rental homes that allow pets are proud to be accommodating regarding your pets. Some will supply comforts like pet beds, bowls, toys and treats to help your loyal friend feel the most comfortable in an unfamiliar location. This area offers plenty of exciting outdoor attractions that your buddy can participate in, like hiking, beach visits, and sports. There are pet-friendly restaurants in the area too.